Michael Livingston is a historian, author, and Professor of Medieval Literature at The Citadel in South Carolina. Click here for more stories by Michael Livingston. 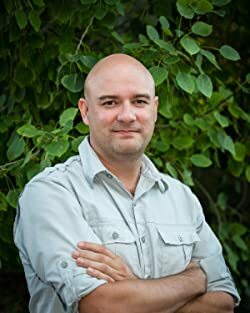 Jason talks with Michael Livingston, historian, author, and Professor of Medieval Literature at The Citadel in South Carolina. 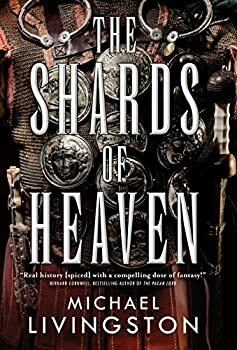 Michael's fiction debut was recently released: The Shards of Heaven, a historical fantasy mashup set in the ancient Roman Empire. Jason and Michael talk about the worries of a historian moving into the world to fiction and his passion for the works of J.R.R. Tolkien. Plus, we're giving away a copy of his book to one U.S. and one Canadian commenter. See below for details. The Shards of Heaven is not author Michael Livingston’s first work. In fact, he’s already a prolific award-winning writer, though mostly focused in his world of academia. Livingston is a Professor of Medieval Literature at The Citadel in South Carolina. The Shards of Heaven is his first novel and he taps into his significant historical knowledge. He liberally expands his knowledge base with strong fantasy elements, though, not unlike George R.R. Martin’s A SONG OF ICE AND FIRE, it’s heavy on history-laden fiction and lighter on the fantasy… at least in this first offering of what’s expected to be a trilogy.